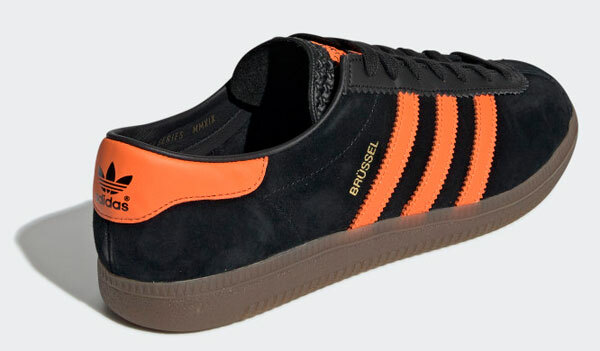 A change of date, so make sure you stay up late tonight to secure a pair of the Adidas Brussel City Series trainers. They will almost certainly sell out. 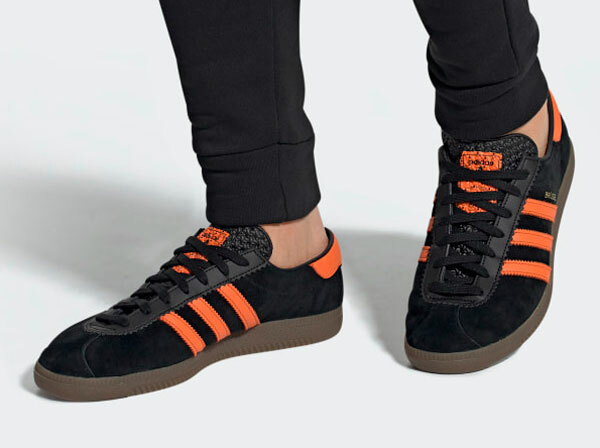 Update: All sizes have just landed at End after pretty much everyone else has sold out. Yes, they will be in short supply, but on the plus side, this isn’t a Size? exclusive. This is a more general release with more stock to go round. It will still sell out, but just not as quickly. So make sure you get on it before you have to resort to the inflated prices of eBay sellers. The Brussel (or Brussels if you prefer, I’m just going with the branding) is the first of this year’s City Series reissues, dating back to the mid-1970s. I said first because others are rumoured to be following. 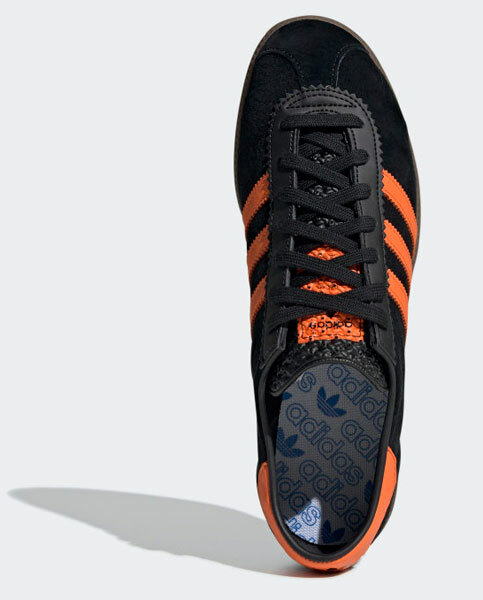 There is talk of the return of the Adidas London in the not-too-distant future as well, which is again going to be a wide reissue, not just a one-shop job. 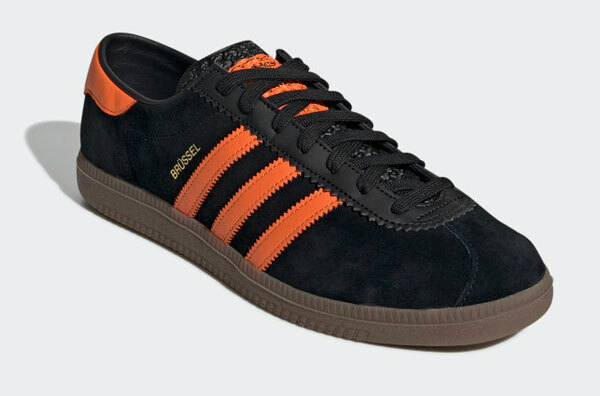 The reissue is faithful to the original 1970s shoe, so expect a black suede upper with orange leather stripes and heel tab, along with a ridged tongue and trademark gum sole (natural rather than black) and of course, the Brussel name on the side of the shoe in gold. 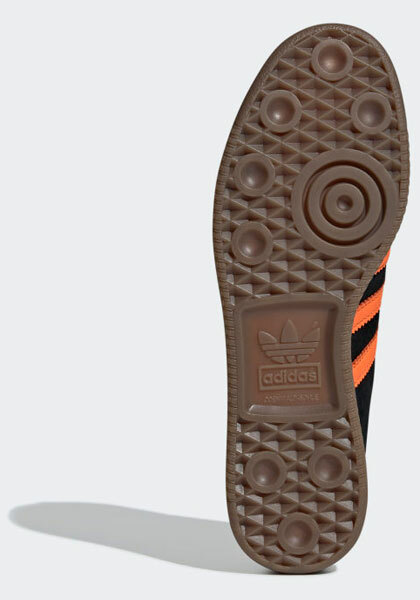 The price has now been confirmed as being £89 and they are available now.